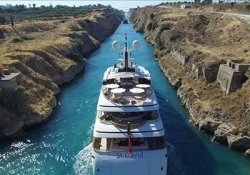 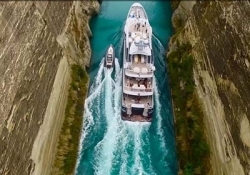 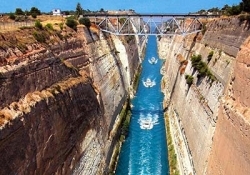 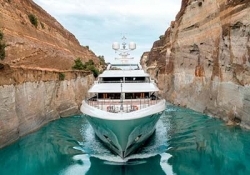 Starting early in the morning from Athens and after an hour of driving we will be stopping at the Corinth Canal, a great piece of work completed in 1886, that connects the Aegean with the Ionian Sea and technically transforms the Peloponnese peninsula into an island. 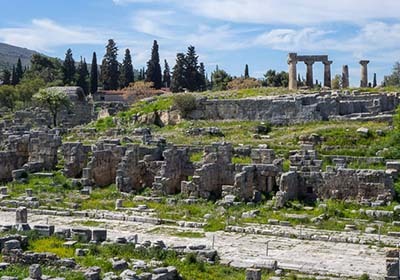 A few minutes later we will be arriving at the site of Ancient Corinth. 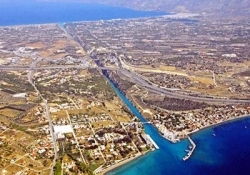 Ancient Corinth, due to its strategic location next to the Isthmus, exceeded Athens in terms of wealth. 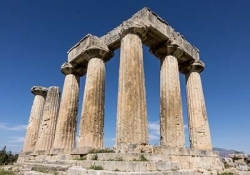 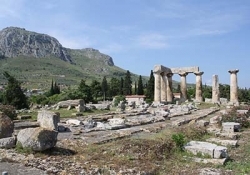 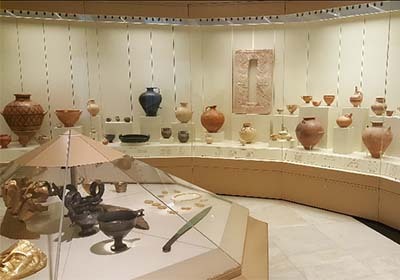 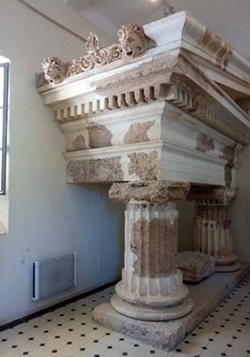 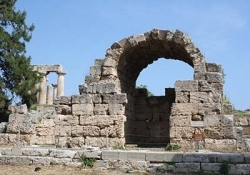 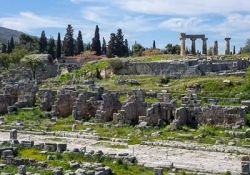 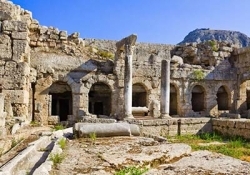 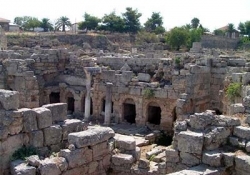 Ancient Corinth played an important role at the Persian and the Peloponnesian Wars and was also an important city-state from the classical times to the Roman Times, as a capital of the Roman province of Achaia, and until the Byzantine period. 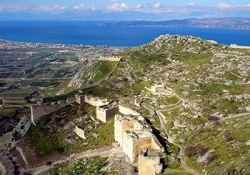 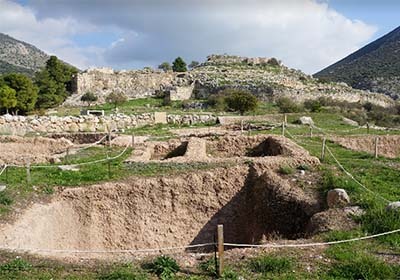 At the site you can see the temple of Apollo (7th Century BC), the ruins of the Roman city (44 BC) and the Acrocorinth, a fortress that was continuously fortified from the Neolithic times until the end of the Ottoman occupation (1822). 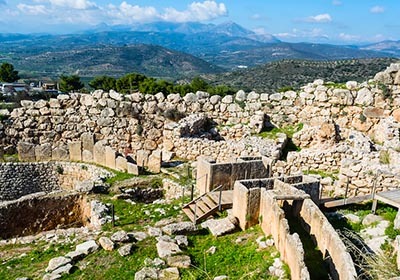 After a 30’ scenic drive through fields of orange trees and vineyards we will be arriving at Mycenae, the kingdom of mythical Agamemnon, first sung by Homer in his epics. 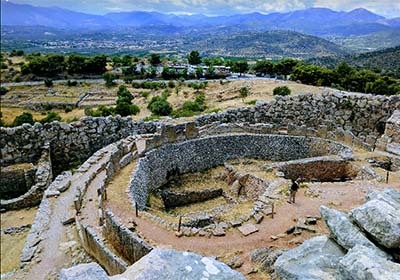 Mycenae is the richest and most important palatial centre of the Late Bronze Age (14th century BC) in Greece. 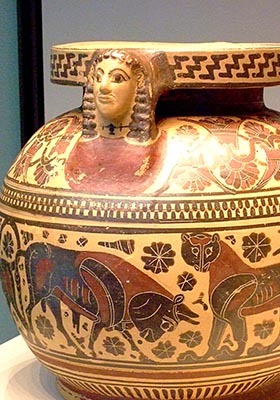 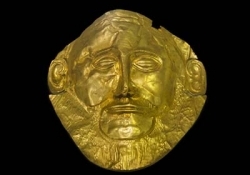 Its name was given to one of the greatest civilizations of Greek prehistory, the Mycenaean civilization. You will walk through the “Lions’ Gate” and live the myth of a powerful kingdom, which started a war against Troy to take beautiful Helen back. 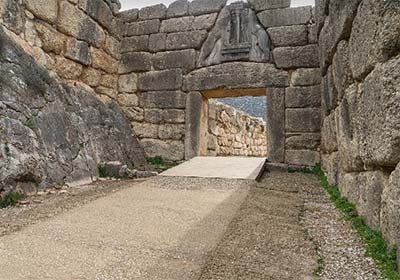 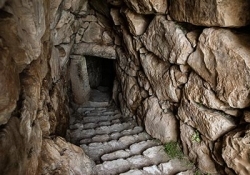 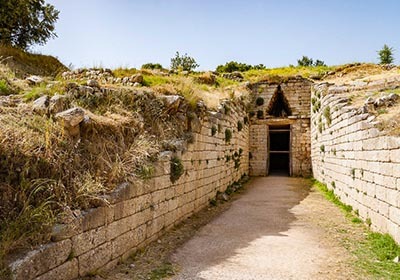 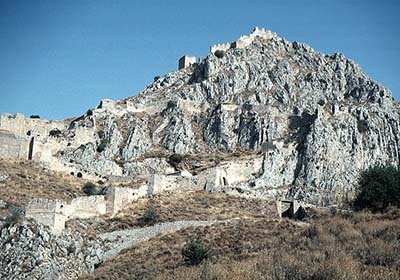 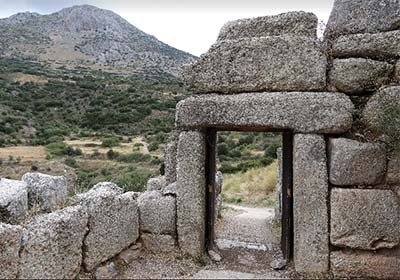 You will also be amazed while visiting the royal graves of Mycenae. 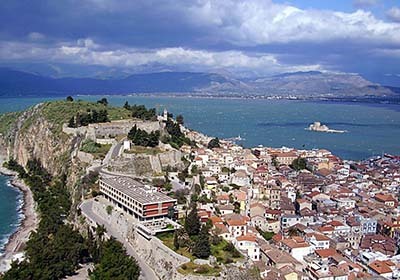 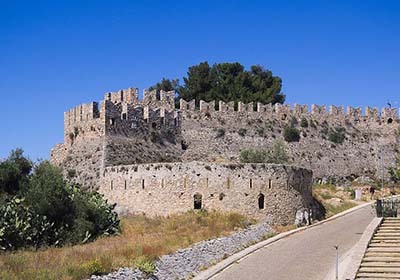 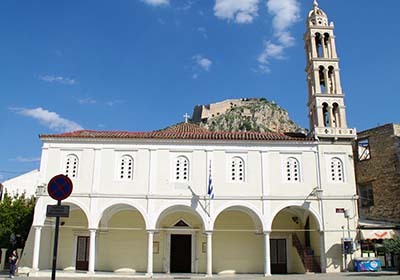 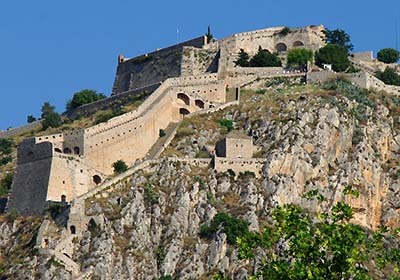 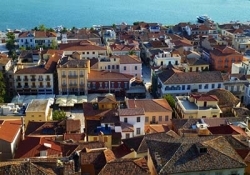 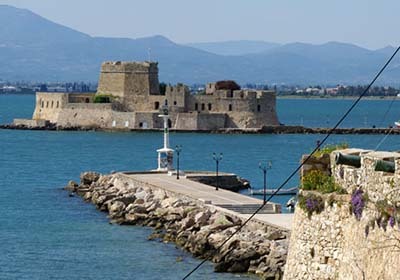 After Mycenae we will be traveling for 20’ and 16 thousand years forward to finally arrive at the picturesque seaside town of Nafplion, the first capital of independent Greece. 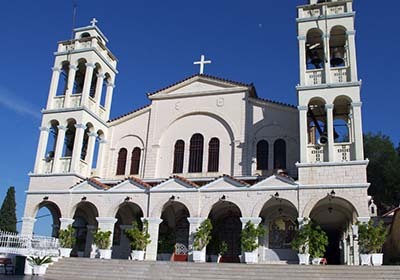 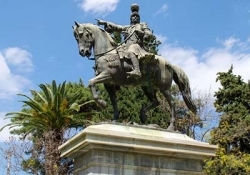 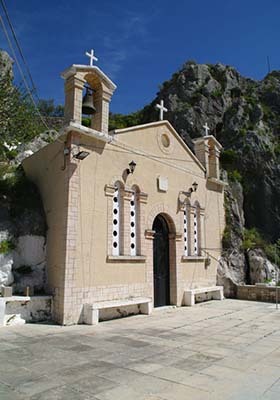 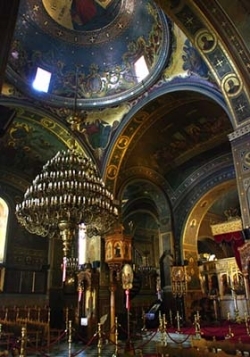 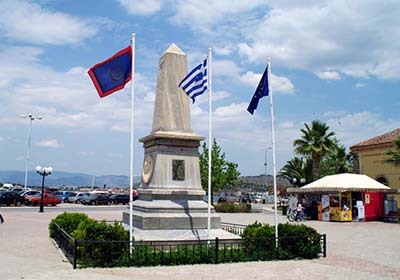 This was the place where the hero of the Greek revolution, Theodoros Kolokotronis, who liberated the city from the Ottomans, was imprisoned by the Greeks and where the first governor Ioannis Kapodistrias, who addressed himself to the country’s progress was assassinated by one of the leaders of the war of independence. 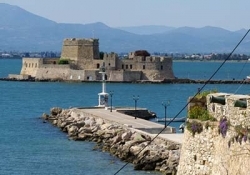 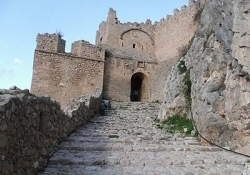 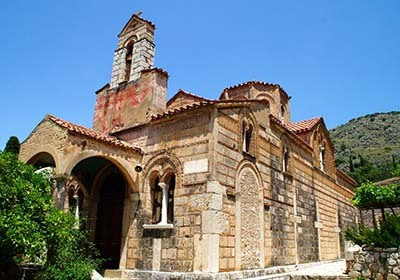 You will have the chance to wonder around the old city and see the three highlights of Nauplio which are the three castles: Acronauplia, Palamidi and Bourtzi and have lunch at a Greek local restaurant in the traditional centre of the town, or at one by the coast. 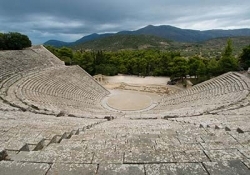 Last but not least is the Ancient Theatre of Epidaurus the most perfect and best preserved of all the ancient theatres, a fantastic acoustic phenomenon. 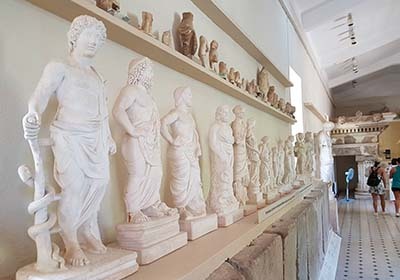 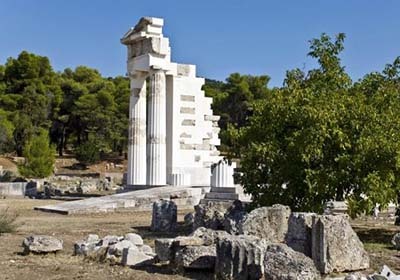 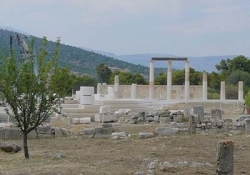 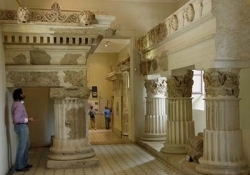 There you will also visit the Sanctuary of Asclepius, a healing centre dated back in the 4th century BC. 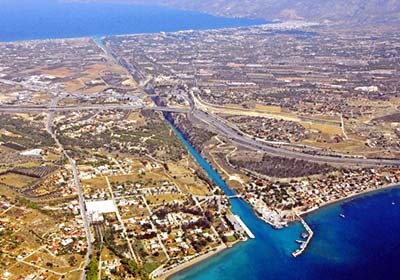 Now after a long day you will have the chance to relax and enjoy the scenic drive by the coast to the Corinth Canal and back to Athens.